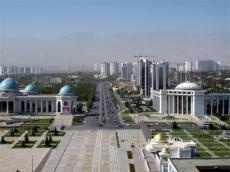 An OSCE-supported regional workshop on promoting border management and security was held in Ashgabat, the OSCE said in a statement. The workshop brought together border security officials from Afghanistan, Kazakhstan, Tajikistan, Turkmenistan and Uzbekistan, as well as experts from the OSCE and various UN agencies. The regional workshop aimed to promote the regional cross-border cooperation through the exchange of best practices and discussions of international and regional legal and policy framework documents pertaining to border security and management. She noted that the OSCE stands ready to enhance regional and cross-border cooperation to further strengthen border security and facilitate the cross-border flow of legitimate goods and services. As noted by the participants of the workshop, the state borders of the countries in the region are not uniform and the methods to ensure border security are also diverse. Nevertheless, it was strongly emphasized that active regional and cross-border cooperation is essential to effectively address the existing and emerging border security-related challenges and threats. The workshop was organized within the framework of an extra-budgetary project of the OSCE Center in Ashgabat funded by the government of Japan.